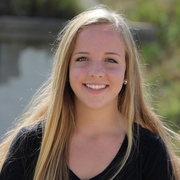 Hi, my name is Maggie Gillan and I am a sophomore Elementary/ Special Education major at Providence College. I have been babysitting for about 6 years and have 4 years of experience as an overnight summer camp counselor. I have experience with children of all ages as well as knowledge about and an interest in working with children with special needs! I am CPR/ First Aid certified and love being active.